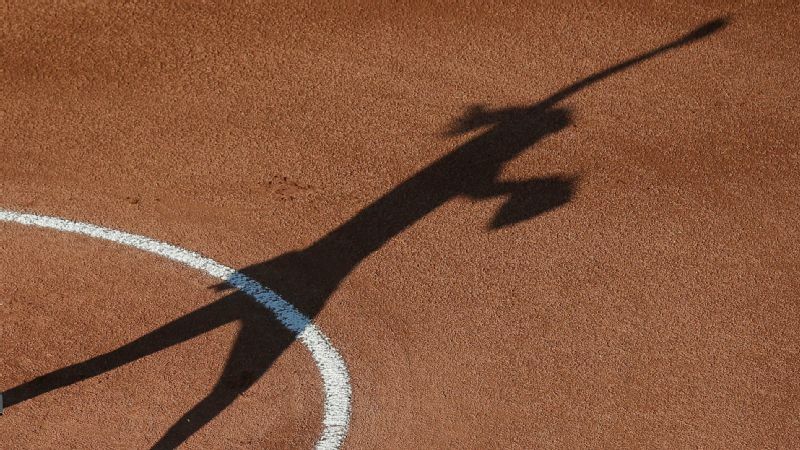 Rachel Garcia, who let her arm and her bat make the statements in the past, is taking on a more vocal role this season. LOS ANGELES -- The sun shines for the first time in three days. The field at UCLA's Easton Stadium is damp from January's heavy rain, and a thin layer of mud coats the floor of the dugout as the players traipse through on their way to drills. Bubba Nickles dances in center field, belting the lyrics to the Carrie Underwood song pumping through the speakers. Freshman pitcher Megan Faraimo smiles and laughs in the circle. Last season's consensus player of the year, Rachel Garcia, sits in a chair just outside the dugout waiting her turn. 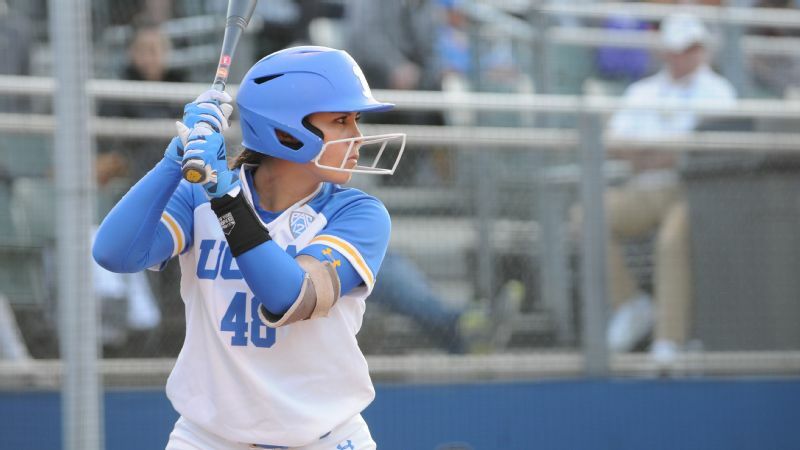 Behind Nickles is a wall that serves as a timeline of UCLA's unrivaled softball success. An AIAW championship in 1978 and NCAA championships in 1982, 1984, 1985, 1988, 1989, 1990, 1992, 1999, 2003, 2004 and 2010. Twelve championships in all, the most of any program. Last season ended without an addition. 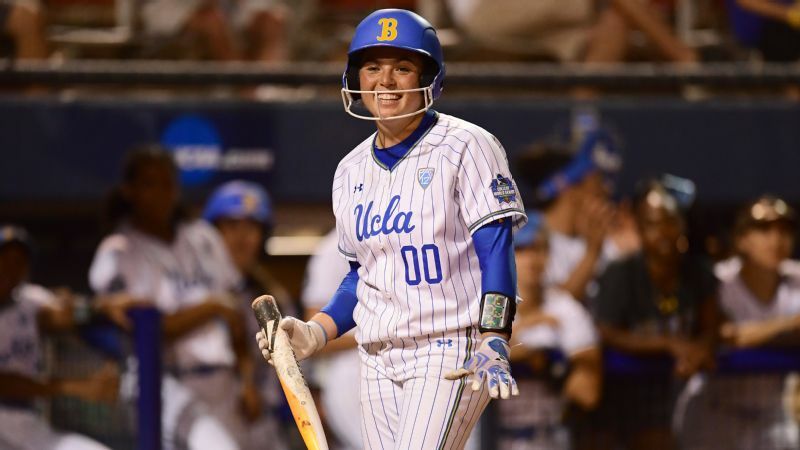 After securing a spot in the Women's College World Series semifinals through the winner's bracket, UCLA dropped two consecutive games to eventual champion Florida State after beating the Seminoles earlier in the tournament. A short pitching bench dogged the Bruins against the Seminoles, but the addition of Faraimo addresses that need. 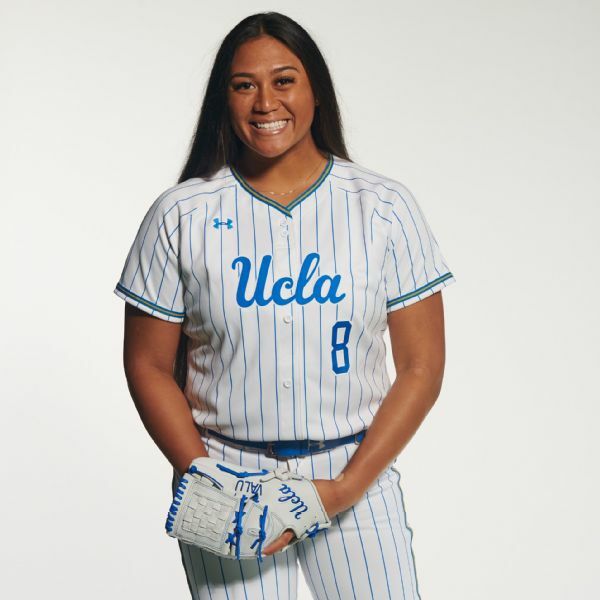 Anchored by their three former Gatorade high school players of the year in Garcia, Nickles and Faraimo, the Bruins hope to end the longest drought in program history. "I want a Natty," Nickles says of her desire to be the last team standing in June at the Women's College World Series in Oklahoma City. "I hope everyone is gone but us." The Bruins have made it out of regionals and super regionals to the World Series in each of the past four seasons and are the only team to have done so. But simply getting there isn't enough. "My expectations have never changed," coach Kelly Inouye-Perez says. "Our plan is to win a championship every year. Anything less than that is coming up short." 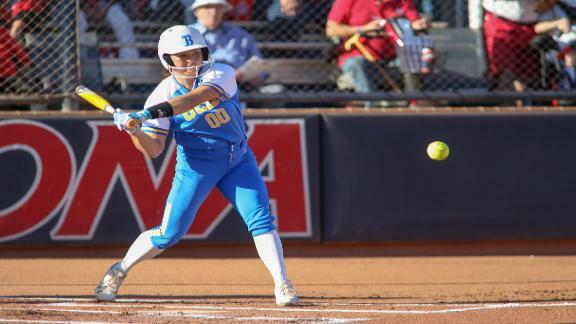 UCLA freshman Megan Faraimo says her nerves fade away when she steps onto the field. Until the final game of UCLA's run at the World Series, Garcia pitched every inning. Freshman Holly Azevedo posted a 15-0 record, but she didn't see any action in Oklahoma City until Garcia showed signs of struggling in a decisive game against Florida State. The teams with deep pitching staffs were the most successful. 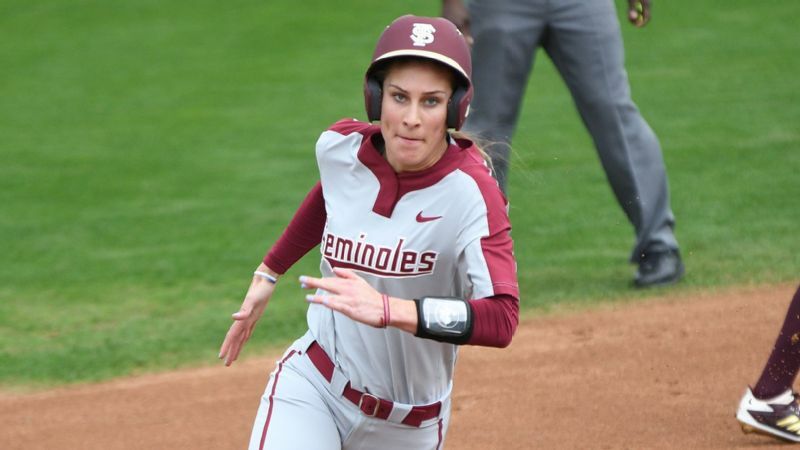 Champion Florida State and runner-up Washington each had two outstanding pitchers, as did top-seeded Oregon and two-time defending champion Oklahoma. UCLA is hoping that Faraimo and a more experienced Azevedo will bolster the staff and get the Bruins over the hump. "Rachel can't win it by herself," Inouye-Perez says. "That was pretty evident. She'll put everything into it, but we didn't lose because of Rachel Garcia, and we can't win with just Rachel Garcia. To have the best player in the country and not be able to says that our program needs to step up to be able to make sure that we can win a championship. She can't do it alone." Faraimo stands in the circle and takes a deep breath before flinging the ball toward the plate. It hits catcher Taylor Pack's mitt with a smack. The umpire calls it a strike, sending another player back toward the dugout. This is what happens with Faraimo in the circle. Batter after batter comes to the plate, and Faraimo sends each one back from whence she came. "People have really high expectations of me, and I do for myself as well," Faraimo says. "Feeling that pressure had me feeling a little bit nervous at first, but when I step on the field, it all goes away." "She has a competitive spirit that is different than Rachel's," Inouye-Perez says of Faraimo. "Rachel isn't very emotional. She's almost stoic. Megan, you'll see her bright-eyed, emotional and ready to go. She has this fire about her. She's a different type of competitor." Faraimo sends another pitch into Pack's mitt. The sound reverberates through the stadium like a thunder clap. She eats a few hits, but they are rare. Standing at 6 feet, her physical presence on the field is commanding. "I didn't have to face her today, thankfully," Nickles says. Not that Garcia is a better option. 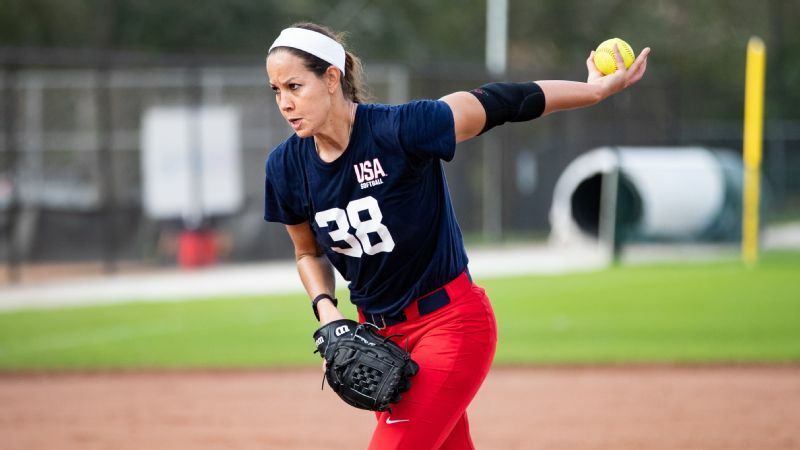 The junior ace was named to the USA Softball roster over the summer, one of just two current collegiate players to make the cut. The other is fellow junior Dejah Mulipola from the University of Arizona. On the sideline, Garcia is quiet. She shares a few laughs with the athletic trainer and former player-turned-volunteer assistant coach Kylee Perez, but mostly she keeps to herself as she watches Faraimo on the field. Being a vocal leader isn't something that comes naturally to Garcia. Most of last season, she came to practice, put in the work and went to class. "Being an underclassman, I would just follow what the upperclassmen would say," Garcia says. "But now that I'm an upperclassman, I feel a lot more confident in my voice. I have a much better bond with the freshmen this year. Being able to guide them along the way is my biggest thing." Garcia regularly gives Faraimo rides around campus, and they sometimes grab lunch. Faraimo soaks it all up, especially the advice doled out by Garcia. The two of them overlapped for a club season when they both played for the Corona Angels. One game during the fall season, Faraimo was in the circle, and Garcia was on first. In a conference at the circle, Faraimo told Garcia that she wanted to shake a pitch, but she wasn't completely sure. Garcia's advice was straightforward and to the point: Have confidence, and be completely committed to the pitch. "You have it in you," she said. It's in moments such as these that Garcia shows how much she has stepped into her new leadership role, having confidence in the value of her opinions and thoughts on the game. Last season, she wouldn't have responded the same way. "She is naturally more of the quiet thunder," Nickles says. "But I've noticed that with her being more vocal, it's putting a different perspective on how the game is for us. She's telling us what she's thinking, and obviously, she's the best of the best." Junior Bubba Nickles had 10 homers and 52 RBIs last season for the Bruins, whose title bid fell just short in Oklahoma City. Nickles and Garcia, though very different in terms of their personalities, have embraced their leadership roles and each other. In the first two seasons they played together, they didn't really hang out. But part of the Bruins experience is taking on greater leadership responsibilities during the junior season, and that has brought them together. "They have found each other," Inouye-Perez says. "They've realized that they have a lot in common. They're both internally motivated athletes and are used to just looking after themselves, and they've both embraced trying to make others around them better." Garcia steps into the batter's box, awaiting the pitch from Azevedo. She swings the bat as it crosses the plate, sending the ball to center field. Nickles stands so close to the wall that her back is almost grazing it. The ball falls into her mitt, and Garcia heads back to the dugout. Every time she stands in the box, Garcia stares at all 12 championships. They're impossible to miss, gleaming gold against the sky blue wall. History can be overwhelming as well as inspiring. But each team has its own journey, and that's what the players are focused on. "It's amazing to look up at these walls and see all these championships," Garcia says. "But I'm focused on the now."